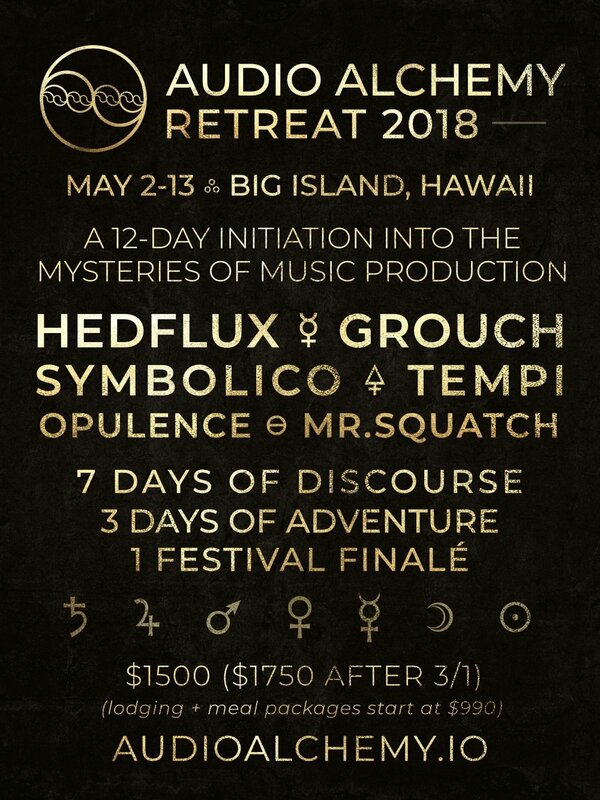 The Audio Alchemy Retreat is a 12-day initiation into the mysteries of music production. It is alchemically crafted to be a catalyst for musical mastery – a potent spark of inspiration that is sure to produce vast seas of creative fire. It is no mystery that music is a deeply powerful medium of emotion and an effective communicator of the unspeakable something. By fusing the principles and processes of alchemy into our creative discipline, we can harness the mysteries to potentiate our craft. If you’ve ever had a “peak experience” on a dance floor, you can attest to the incredible power that resides in music. Oftentimes it is these peak experiences that inspires us to pursue expressing ourselves through audio. We receive what feels like a gift from the gods, a deep moment of ecstasy, and our natural reaction is to return the favor. Whether we’re a bedroom beat-smith or a world touring legend, there inevitably comes a time when we’re faced with a nagging feeling that our efforts have amounted to nothing or that there’s something “more” that has yet to be achieved. Perhaps our efforts still seem to be shadowed by the life-changing musical experiences that led us down this path in the first place. For whatever reason, the magic seems to elude us. 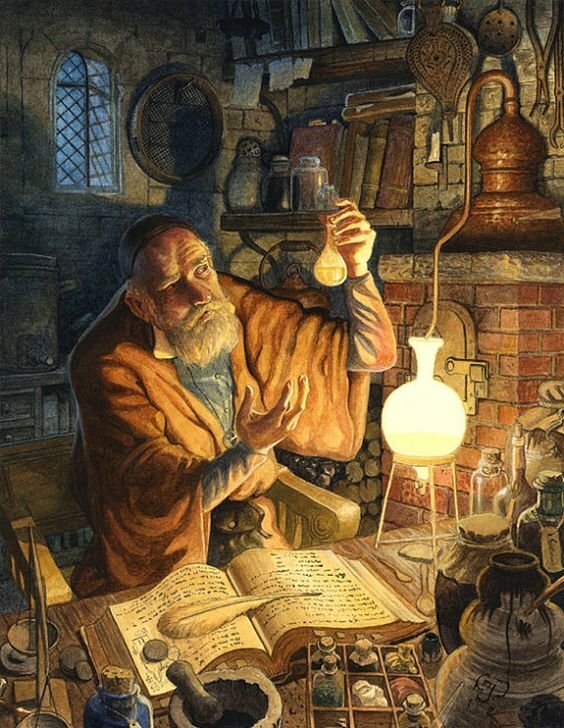 Alchemy is vastly misunderstood in today’s world, yet its basic premise continues to live on through the ages. The idea that we can transform lead into gold is often mistaken as some sort of outdated midaeval superstition. Upon further investigation of traditional alchemy, it becomes apparent that it is a complex and comprehensive language of symbolic wisdom. Whether or not physical gold can be summoned from lower level materials such as lead is irrelevant. 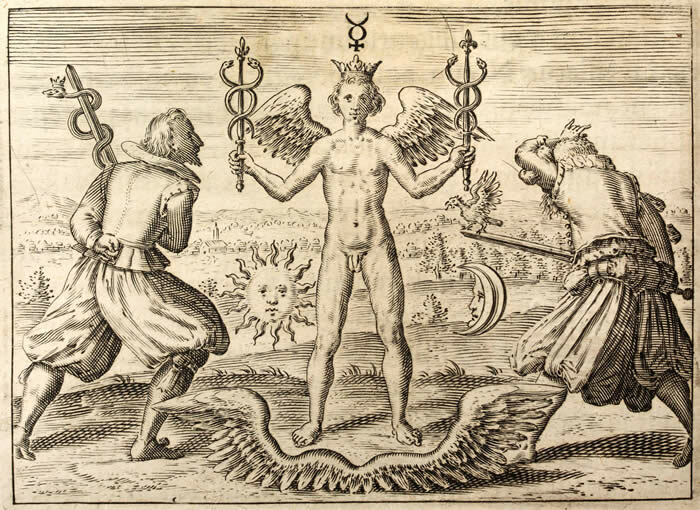 From a symbolic perspective it is easy to see that the true gold of alchemical lore is the blossoming of human spirit. 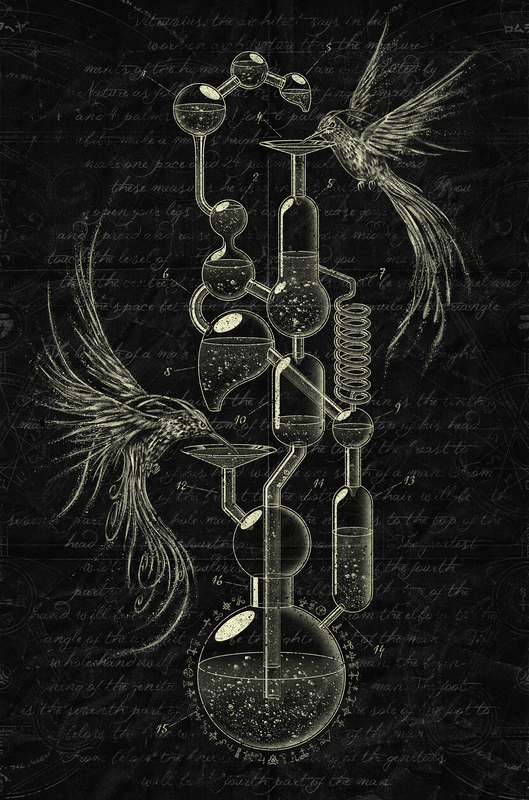 Alchemy is a deeply personal discipline where the alchemist him or herself is the true subject of alchemical experimentation. When our creative output becomes aligned with our internal focus and desire for personal growth, our art begins to take on a deeply transformative quality. The alchemist does not create art for the approval of others. The alchemist creates art to perfect the self. The philosophers stone is a magical substance that exudes an inherently transformative quality. Anyone or anything that comes in contact with the philosophers stone cannot help but to be immediately transformed into a state of perfection. Music is the closest thing we have found that fits this description. With the right frequencies, at the right place, at the right time, a single moment of sound can alter the course of a life forever. As Audio Alchemists, we’ve all had our own unique encounters with this magical and elusive elixir. These experiences instill a deep knowing that the stone does indeed truly exist, hiding somewhere in the aether. Our operative is to synthesize our own personal medicine that is a unique vibratory tonic, carefully attuned to our entire being. We view this art is a doorway to the divine within, and our lives are dedicated to it’s synthesis. 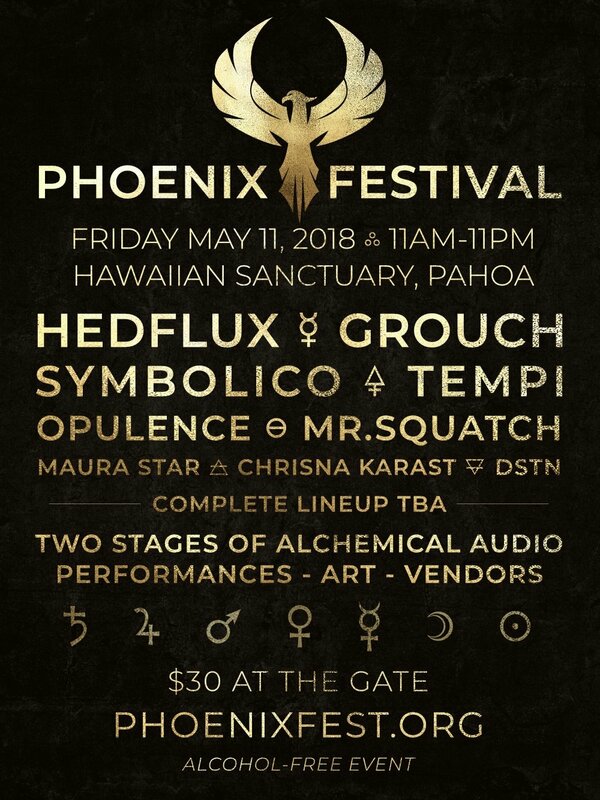 In May of this year, 75 budding artists will be gathering for 12 days in Hawaii to become initiated into the art of Audio Alchemy. 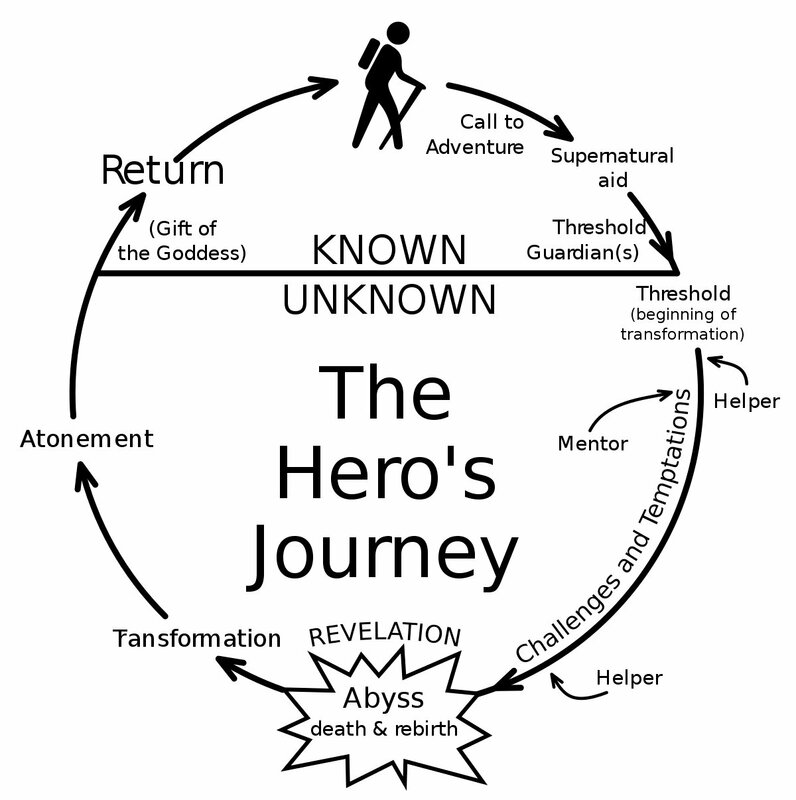 Each one of these aspiring alchemists will be enduring their own personal version of the Hero’s Journey. Through this process, they will all be equipped with the real world experiences that are required to embark on the path of the initiate. Each of them is a hero in their own right, and this experience will invoke a deep realignment of the spirit, soul and body, thus unlocking a wellspring of creation. They will return home as new humans, with a new perspective and relationship to their work. The set and setting is a 144 acre retreat center on the south-eastern coast of the Big Island, Hawaii. 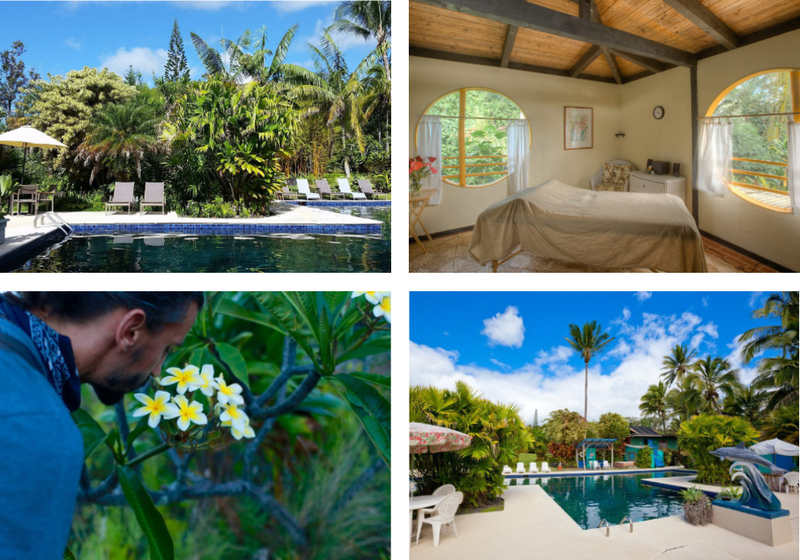 Lush jungles, black sand beaches, geothermally heated ponds, and active lava flows mark the territory. In the midst of the young and wild terrain, Kalani nestles itself into natures embrace. The open-air rooms and studios blend effortlessly with the environment. During the 7 days of discourse, participants will settle deep into a daily rhythm of learning and experimentation. The Lecture Hall is where we will be hosting all workshops, classes and demonstrations. In The Lab we’ll be greeted by a myriad of workstations and music gear – this is where we put our philosophy to practice. Each alchemist will have their own dedicated studio space set up in The Lab. The Jam Studio will be locked and loaded for impromptu live jamming. Plug your gear into the mixer, link your Ableton Live to everyone else, and get lost in deep jam journeys. Throughout the 12-day retreat, 3 days will be reserved for island adventures. A few of the local attractions are lava viewing, snorkeling in tide pools, black sand beaches, geothermal heated natural ponds, night markets and more. It is an incredible slice of paradise out here. A critical aspect of our work here on earth is taking responsibility for our bodies. These are the vehicles through which we carry out our craft, and a poorly functioning body produces poorly functioning art. Throughout the retreat, we will have full access to all of Kalani’s wellness amentities including an olympic sized pool, two hot-tubs, a steam sauna and a full-service spa with a plethora of wellness modalities and services to choose from. Integrated into the retreat syllabus will be daily movement practices to realign our body, mind and soul, thus grounding us deeper into our experience. Kalani also offers multiple classes throughout the day such as yoga, dance, meditation and more, which you are welcome to participate in if you so choose. And of course, a music production retreat wouldn’t be complete without pumping our creations out of big soundsystems into jungle-set dance floors! Many public dance events will be happening throughout the retreat, including multiple ecstatic dances, a pool party, downtempo tea lounges, and a festival finalé. The final weekend of the retreat culminates into a one-day festival that showcases the talent of our blossoming community. It is an alchemical initiation for both the retreat participants and the Big Island dance community. As an experiment in cultural alchemy, we are very excited to see what kind of magic can sprout out of such a container. We believe that festivals and other types of large scale cultural gatherings such as conferences and retreats have a great potential to be experiential catalysts for global change. As the creators and facilitators of such events, we have a responsibility to set the tone and intent, which feeds into the cultural unfolding that results. The frequencies, tones and emotions we cast into the crowd play an active role in guiding our collective consciousness. This is not to be taken for granted, but to be honored and brought to a place of humility, nobility and responsibility. If the audio alchemist’s laboratory on the micro scale is the studio, then the laboratory on the macro scale is the dancefloor – a beaker of molecules whirling, fizzling, dancing and popping off to the audio tonics we cast out through the soundsystem. By bringing alchemical audio to the masses through potent dance floor experiences, we intend to initiate a chain of socio-chemical reactions that carry out a work of art far greater than any of us can achieve as individuals. As humans, we have an inherent need for human connection. Without it, our spirit begins to wither away in the confines of solitude. We live in a hyper-connected social media world, yet as a global culture we’ve never been so separated. The “connection” of our age is counterfeit. Connection takes root when we find common ground with others and share in similarities that bring our differences into harmony. True connection is instilled when we come together under the doctrine of a common and noble purpose that shadows our individual and collective self. When we come together as a group to carry out a great work that goes beyond the benefit of the group, we find a deep sense of collective purpose and potency. 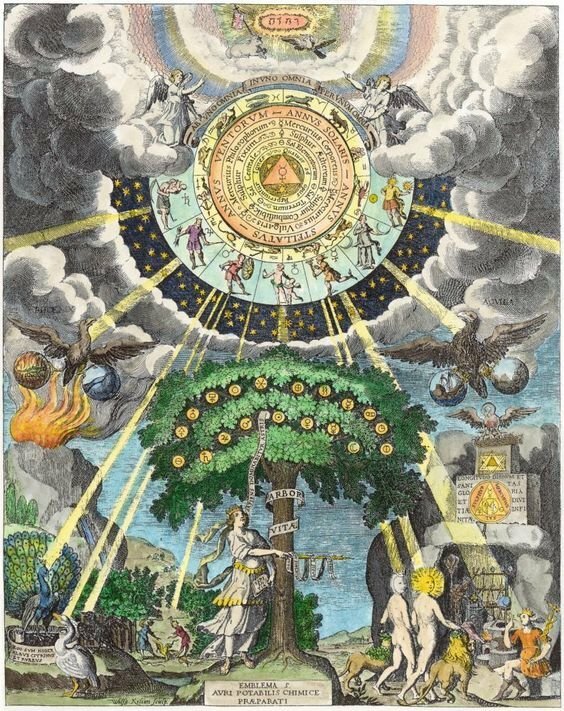 Alchemy brings us into harmony with this truth, and provides a practical method of transcending our individual and collective desires thus enabling us to engage in the blossoming of our humanity. The Audio Alchemy Retreat is far more than a series of music production workshops in paradise. It is a merging of creative minds and spirit, and the initiation into a blossoming community of musical philosophers. The great philosophers of the past were truly great because they approached the problem of life as priest-philosopher-scientist. The title ”The Wise” is properly applied only to those in whose consciousness the unity of knowledge has been established as the pattern of the Quest. It was part of the ancient plan that has descended to us to build again the ideal university–the college of the six days work. Here would be taught the same arts and sciences that we teach today, but from a different basic premise. Here men would learn that the sciences are as sacred as the theologies, and the philosophies are as practical as the crafts and trades. Humanity’s power lies in his dreams, his visions, and his ideals. If these intangibles are left uncultivated, man is at best but a superior kind of beast, subject to all the ills and vicissitudes of an unenlightened creation. But, as man has locked within him, hidden from the public gaze, this diviner part, so it is true that human society has within itself concealed from our common view a nobler part composed of the idealists and dreamers of all ages and of all races who have been bound together by their common vision of man’s necessity. This is the secret empire of the poets, this is the order of the Unknown Philosophers, this is the Brotherhood of the Quest. And never will these dreamers cease their silent working until that dream is perfected in our daily life. They are resolved that the Word which was made flesh shall become the Word made Soul. The great University of the Six Days Work must be built here in our Western world, to become a guide unto the nations. About this shrine to Universal Truth shall rise the democratic Commonwealth–the wealth of all mankind. These illuminated words resonate with us on a deep, cellular level. As a community, we recognize that our efforts as artists and alchemists are integral parts of a greater plan. We have all felt a great calling – a deep yearning from the depths of our soul to play our part in some sort of global awakening. Unfortunately, we oftentimes get lost in the busy confusion of modern day society, yet the embers of our spirit remain unextinguished. It is only by coming together to do the great and noble work of perfecting ourselves, that we may one day achieve the perfection of our species. If you feel an urge within you to participate in the blossoming of our humanity through the medium of music, we invite you to join us in this profound rites of passage. BAV-phoenix1.jpg source Our Great Work Audio Alchemy is our magnum opus, our life’s work. The retreat is an invitation and initiation to join us on this path. We can’t do it alone. We need the brilliance of your uniquely creative spirit to add to the fire of our collective transformation. Together, we will transcend our woes, transmute our worries and fortify ourselves into the fabled Philosopher’s Stone. The phoenix will rise from the ashes and our true potential will be revealed.